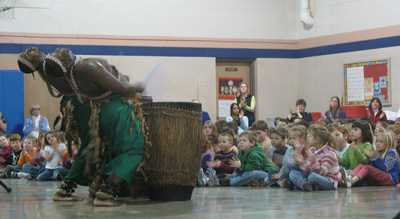 Each year, Lotus Blossoms artists visit K-12 schools across south-central Indiana, performing for thousands of young students. Lotus arranges interactive performances, provides artist transportation and housing, and even provides Study Guides and Teacher Resources for classroom use with more information about artist countries, cultures, and musical styles. 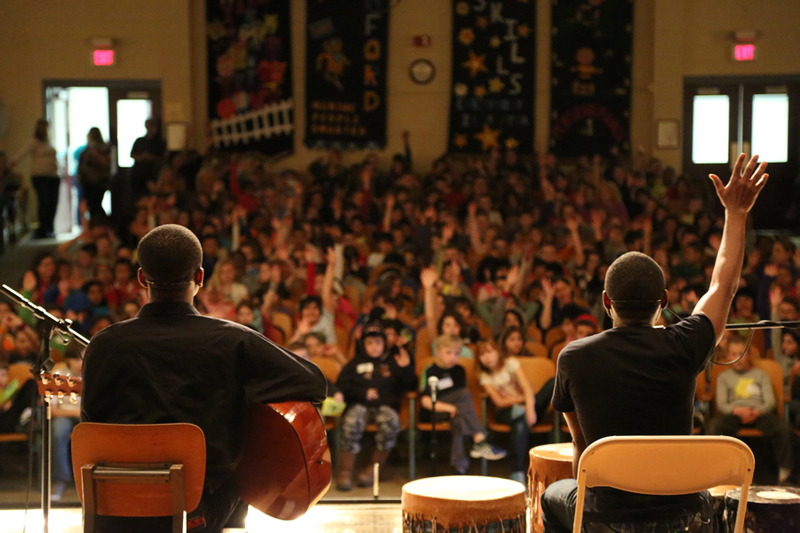 Interested in bringing a Lotus Blossoms artist to your school or organization? Please check back in December 2019 to learn more about the artists visiting for the 25th Lotus Blossoms season. If you are interested in having your 4th-grade class participate in the World Bazaar on Friday, March 29, 2019, please visit this page for details. Lotus strives to keep costs as low as possible, and has asked schools for the same $300 fee since 2001. This covers only a portion of the costs needed to bring artists from around the world to area schools, and Lotus covers the rest through active fundraising like individual donations, grants, and business sponsorships. Want to “Adopt a School” or make a donation to help bring the world to a classroom? We need your help to make Lotus Blossoms educational outreach programming successful and impactful for as many young people as possible. Learn how to share a gift and make a difference. For 2019 Study Guide materials, email loraine@lotusfest.org. The Indiana Department of Education (IDOE) recognizes that the twenty-first-century classroom and workplace have evolved into settings in which people from widely varying backgrounds come together. As they grow into citizens of Indiana, the U.S., and the world, students must learn about and understand other perspectives and cultures.